Pardy said each craft beverage booth and artisan food maker will offer small complimentary samples of their products. Products will be available for purchase. For the fourth year in a row, Chef Matt Bolton and the students of the SUNY Adirondack Culinary Arts program will be at the festival showing off their skills and offering cooking demonstrations under the Culinary Tent. The tent features an “Iron Chef style”cookoff during the festival, with students and alumni cooking on grills provided by Marcella’s Appliance, the culinary tent sponsor. New this year is a cocktail demonstration schedule under the culinary tent, with local bartenders mixing new concoctions from wines and liquors available for purchase at the festival. The new addition is sponsored by the Lake George Bar Crawl and Bolton Boat Tours. Also new this year, Big Brothers Big Sisters of the Southern Adirondacks will be the official festival beneficiary. Their volunteers will be on hand making sure the festival runs smoothly, including roaming the space with ample bottles of water to keep people hydrated, thanks to the official water Sponsor, Lake George Premium Brand. Children and families are welcome to attend the festival and children 15 and under are admitted free. A Kids Activity Tent, sponsored by Fun Spot, will be available, and there is a natural playground and a new skateboard park located just outside the festival grounds. 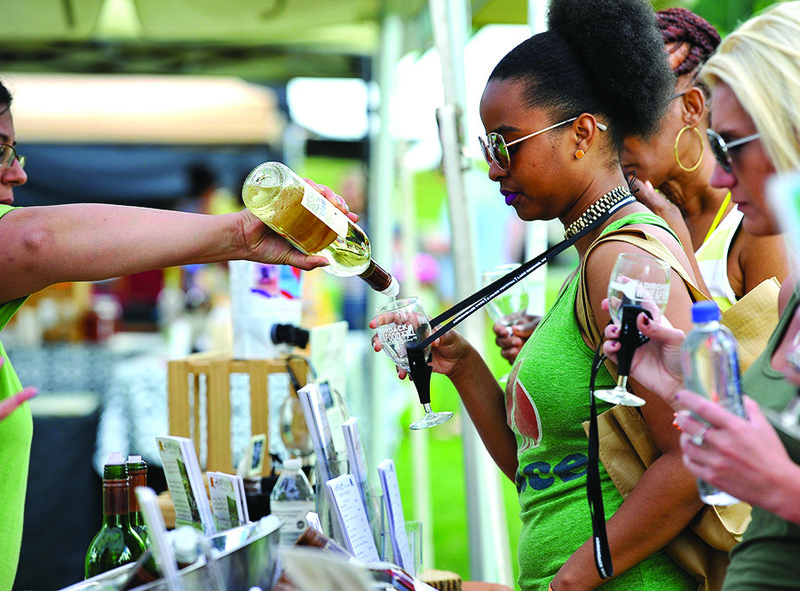 Also new this year is a VIP Ticket experience, which in addition to the standard tasting ticket, includes early entry and a dedicated check-in area for the festival, a six-bottle reusable wine tote stocked with goodies, and a food truck voucher. Tickets are available online. The festival website is adirondackwineandfoodfestival.com.